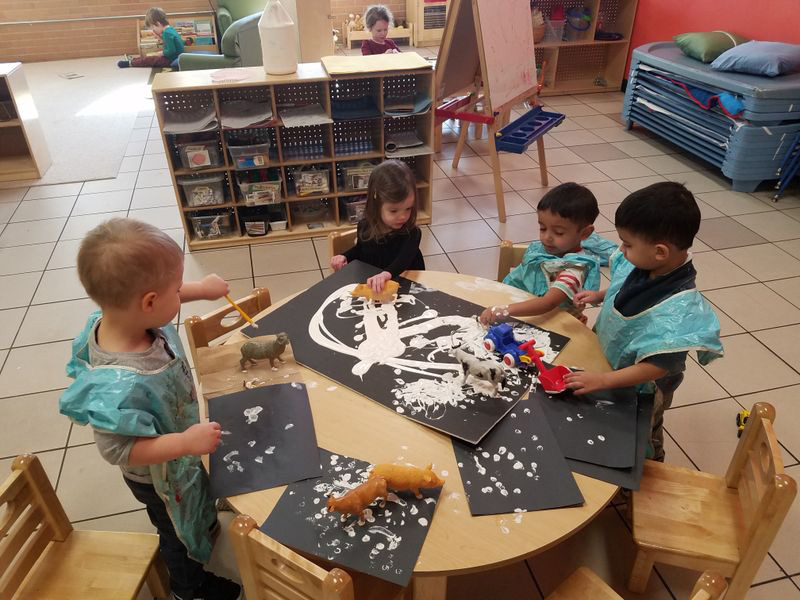 The owners of Creative Scholars Preschool, Mark and Della Allen, envisioned opening a variety of educationally based facilities in Chicago for families during the early developmental years of one’s life. Being the lucky parents of boy/girl twins, Mark and Della’s initial creation “Fantasy Kingdom” opened fall of 2004 and closed summer of 2012. Fantasy Kingdom was the first of its kind – a “learning through play” facility in Chicago which gave families the flexibility to pop in and play during the week without having to sign up for scheduled classes. Their next dream came true when Creative Scholars Preschool opened in April of 2009. The environment within is warm and nurturing. Creative Scholars Preschool is a safe, engaging, collaborative place for children to learn. As a daycare and child care center with a focus on early literacy development, fine arts, and social-emotional intelligence, CSP offers a curriculum that enables teachers to discover the unique gifts each child possesses.